The DeLorean DMC-12 is today best known for being the time machine in the famous “Back to the Future” trilogy and is forever linked to Michael J. Fox’s character Marty McFly. 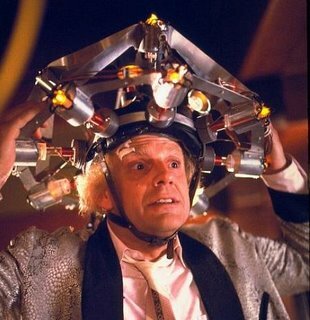 Marty is aided by a mad scientist played by Christopher Lloyd who transforms the DeLorean by adding a “flux capacitor” which is activated when the car hits 88 miles per hour and generates the necessary 1.21 “jigowatts” to time travel. Physicists my roll their eyes, but the movie was a lot of fun as well as a commercial success which spawned 2 sequels. 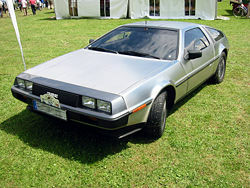 The DeLorean DMC-12 was the only car producted by the DeLorean Motor Company (DMC) and was first produced in 1981. Its most distinctive features were its gull-wing doors and rear mounted engine.